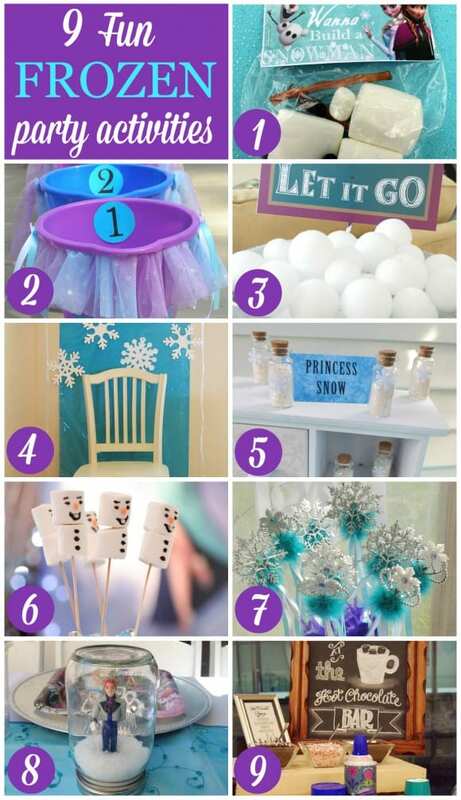 With all the amazing Frozen parties on our site, I thought I'd share some fun Frozen party activities to give your guests a good time at your party! 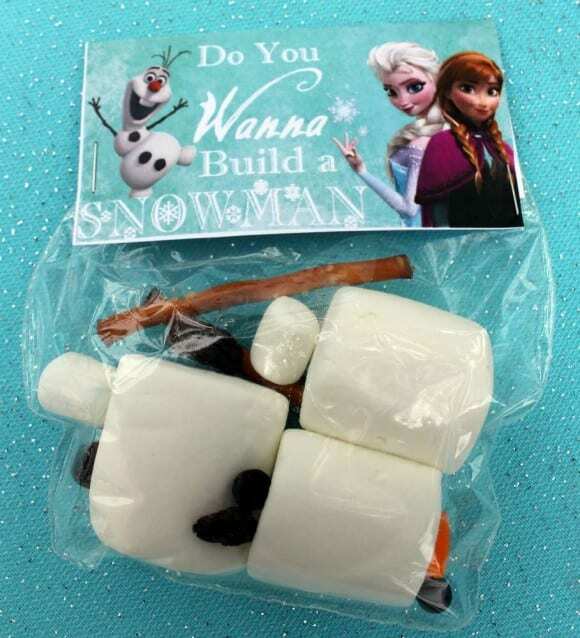 Create an all edible snowman, just like Olaf, with marshmallows, mini marshmallows, chocolate chips, pretzels, and a candy corn nose! 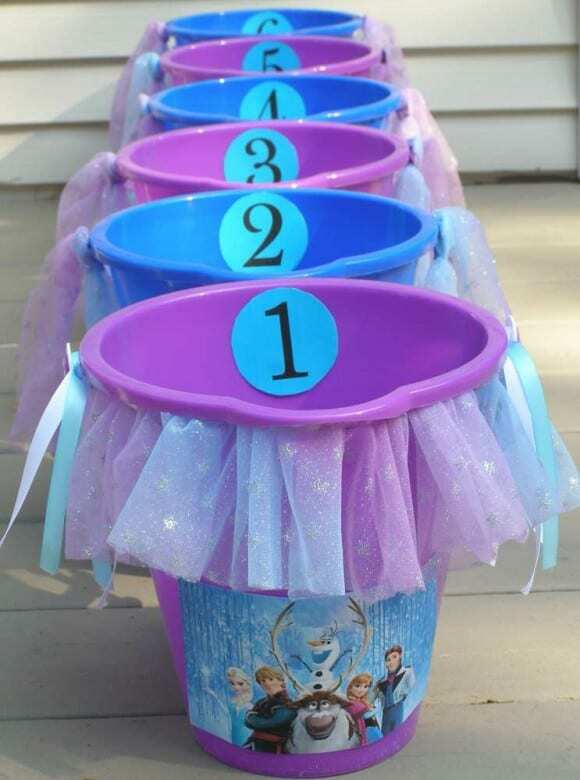 Keep score on who gets the most points with this soft snowball tossing game using purple and blue buckets! Even if it is warm outside, you can grab some styrofoam balls and have an indoor snowball fight! 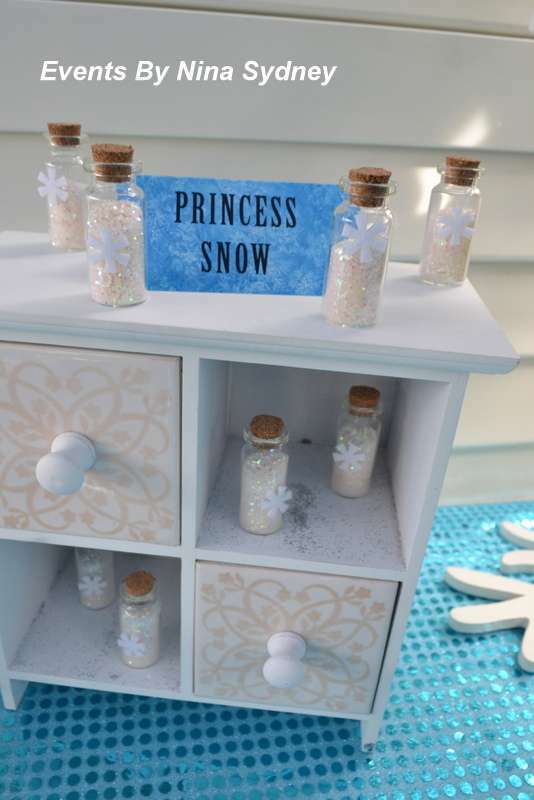 Crowns, magic wands, even fake snow are perfect for a snowy photo booth activity! Glitter and fake snow look so pretty in mini glass bottles! 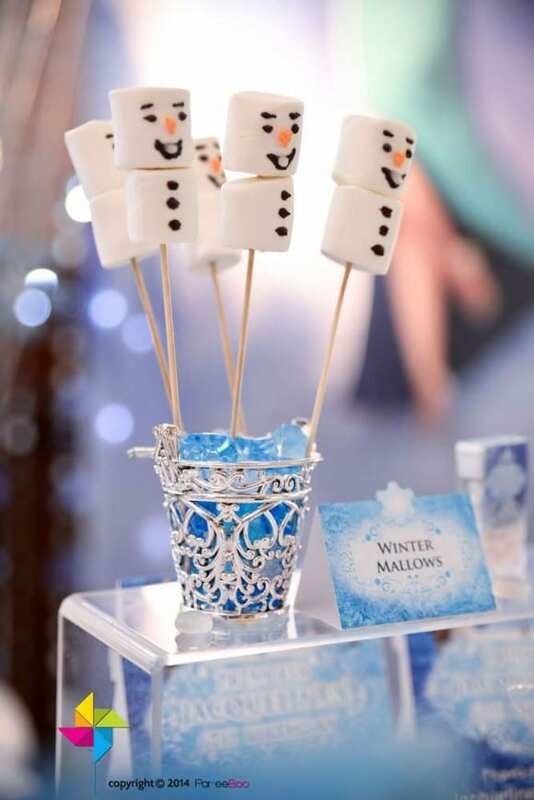 Let your guests create snowmen with food safe markers and skewers! 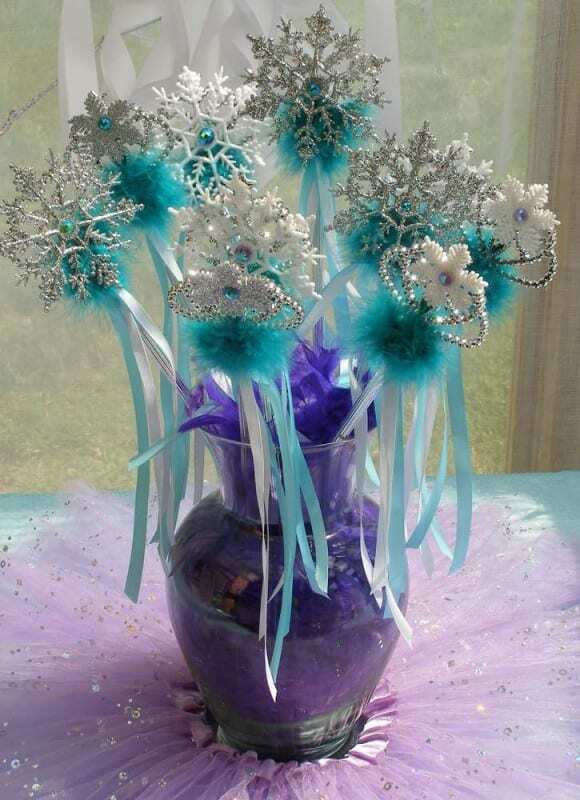 Have lots of glitter, snowflakes, sparkles and glue on hand for the girls to make magic ice princess wands! 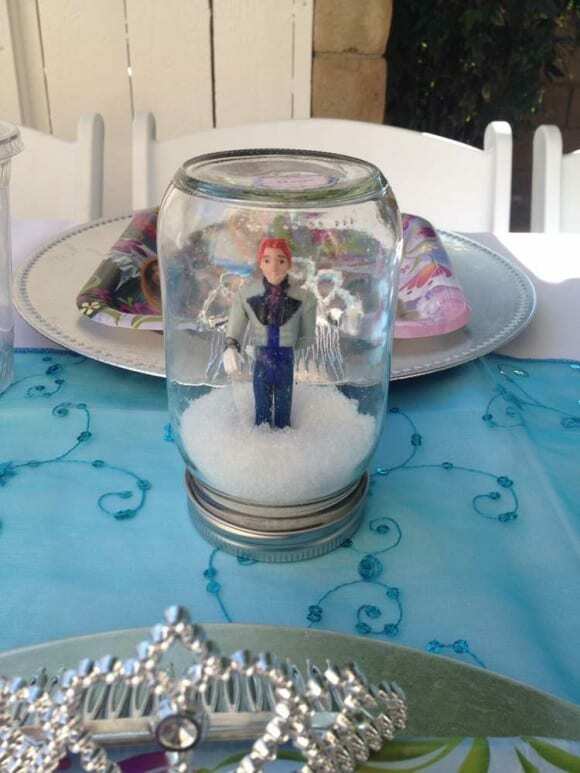 Save your mason jars for a fun DIY snow globe craft! 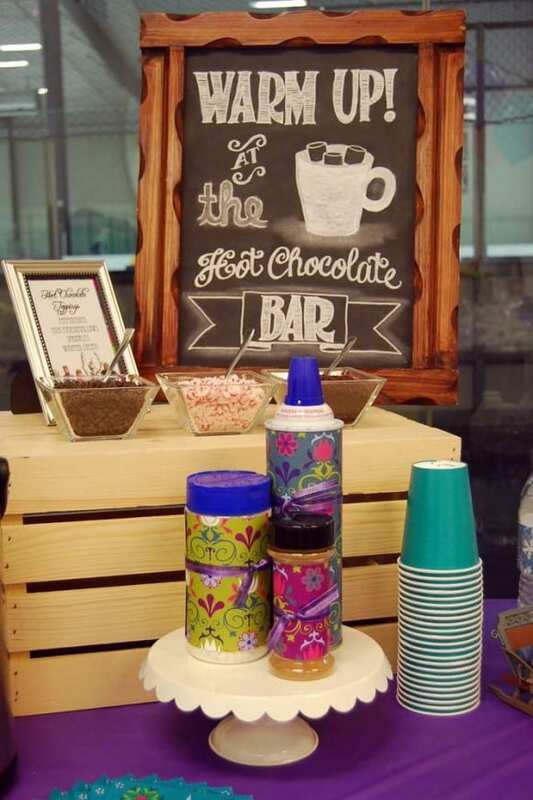 Let your guests make their own hot chocolate creations at a hot cocoa bar set up with all the fixings! 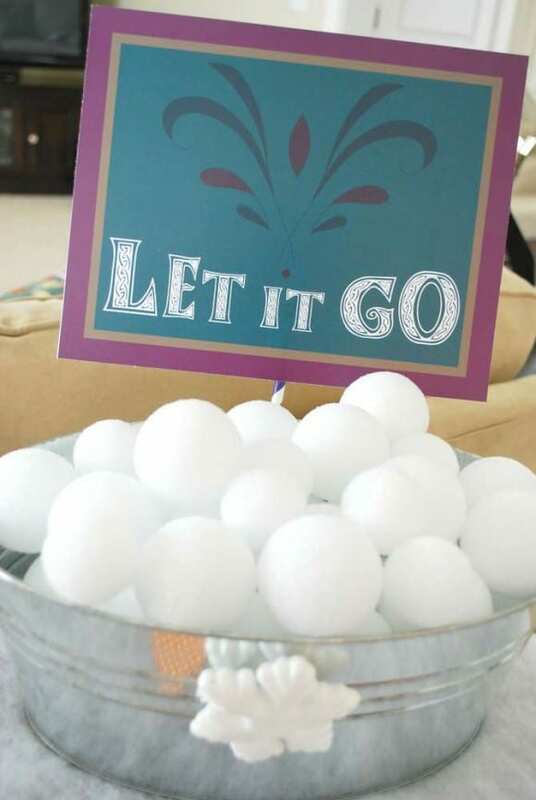 Hope you enjoyed these Frozen party activities! For more ideas, check out all the Frozen parties on our site and our Frozen Pinterest board. 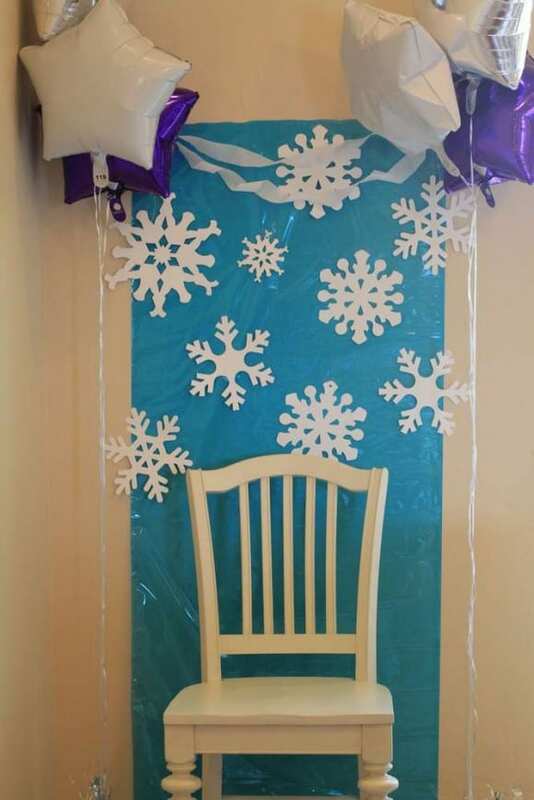 And if you need free Frozen party printables, we've got those too! Could you tell me where you found the buckets you used for the snowball toss game? They look like the perfect size! Thanks! The build a snowman idea is such an awesome idea!